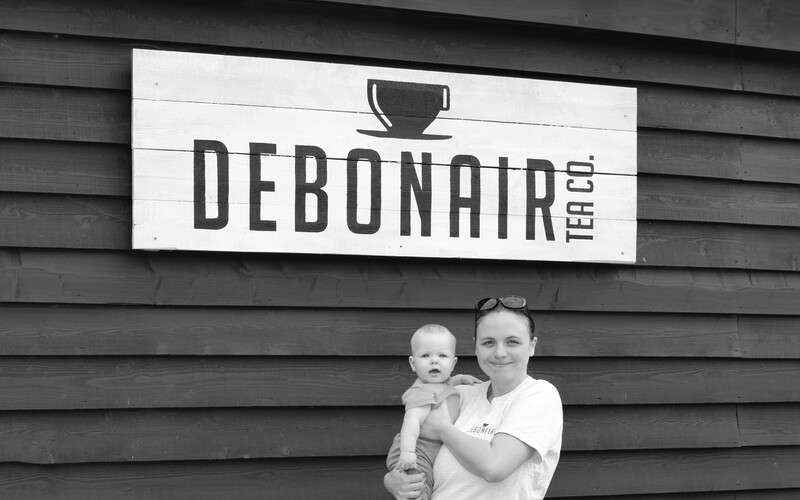 Debonair Tea Company is a family-run business set up by Phil Johnson and Louisa Latham. We started the business at the end of 2014, shortly before our move to Hythe the following year. Tired of seeing both good and poor quality tea served badly, we believed it was possible to source, create and serve high-quality loose leaf tea without pretence and set upon our mission to make exceptional tea a daily pleasure. Initially, the plan was to personally serve our own loose leaf tea and blends at events but we were soon getting requests to retail our products online and supply other food businesses so we promptly found ourselves re-writing our business plan! From true start-up beginnings and a limited budget, we have now created and sourced over 20 delicious yet honestly priced unique teas and infusions with even more in careful development. We are proud members of Produced in Kent and our blends are now being served in some of the county’s top food businesses. Louisa has also proven her craft with formal tea sommelier accreditation – the first person to do so with the UK Tea Academy. We started our business in our spare room but were very lucky to move into commercial premises at the Riverside Craft & Business Centre in West Hythe in 2016. Our unit really was a perfect fit in terms of location, specification and budget. We are really fortunate to be surrounded by other busy small businesses, Hop Fuzz, Unit 1 Craft Food and Drink, Austin Sloan sign-makers and RJG Rail to name a few. There is a lovely community atmosphere down there which it is a pleasure to be a part of. There are lots of other small independent businesses operating in the area so there is lots of peer-to-peer support. We have also found ourselves supplying a large number of independent cafés and shops that have emerged on to the scene as successful regeneration projects and the high-speed trains to London work their magic. We have benefitted from Folkestone & Hythe District Council’s small business rate relief programme and are looking to get involved with any support for Apprenticeships in the near-future. In the early days, we took advantage of the free business advice sessions and have got to know a number of other local businesses (some of whom we now supply) through free networking groups, including those run at Basepoint, Folkestone. We would highly recommend it; the Council offer business support like no other in East Kent and if you look in the right places and deal with the right people, huge savings can be made with property rents. Of course, you need to be mindful that there is a market for your products or services but with the Internet and communications revolutionising modern marketing methods, there is no reason physical products such as ours can’t now reach a worldwide audience. "Folkestone is a great place to live and do business." "Having a support network is crucial to the BIG IDEAS Show"
"Folkestone benefits from good value office rental costs"
"There is so much happening in Folkestone and I am very excited to be a part of it." "The benefit of Folkestone is the links to mainland Europe and London"
"The investment in infrastructure indicates there will be more businesses investing"
"The Council offer business support like no other in East Kent"
"The area offers great opportunities for business expansion with good commercial sites"
"Folkestone has a lot to offer. We have the Creative Quarter and the Leas, ...with lots of places to eat."